Fantastic Opportunity to own an established profitable Pita Pit with huge growth potential. The store is located in San Luis Obispo, California. This is a great opportunity for anyone looking for an area that they can build out. The closest store to the franchise is three hours away. The store is profitable and doubled its profit from 2014 to 2015. We are currently on our fourth straight month of increases sales year over year (Oct, Nov, Dec, Jan). The restaurant is located in a shopping plaza that is getting two new anchor tenants ( Rite Aid Pharmacy and Lassens Grocery). With consumer’s eating habits trending toward low-carb and reduced-fat foods, sandwich bread and pizza crust are losing their popularity; and that is causing traditional fast food franchises to not perform as well as made-to-order restaurant concepts. 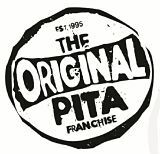 Founded in 1995 in Ontario, Canada, The Pita Pit was a fast food restaurant with a new and unique approach. The goal - to offer quality, healthy, fresh food fast. Realizing great success, franchising began across Canada in 1997. Franchising in the United States began in 1999, and Pita Pit Inc. was formed. Today, there are more than 235 Pita Pit locations in the United States, and over 550 Pita Pit locations worldwide—the company is poised for explosive growth. The brand connects healthy food with people seeking alternatives to the typical fast food choices. As a healthier alternative to carb-loaded and high-fat breads, Pita Pit developed its own special pita bread—light and delicious—to target today’s health-conscious consumer. While the pita shell is light and tasty, it is not the meal – it is the means of delivery. Inside the shell are the fresh toppings and low-fat protein consumers are seeking with growing demand. 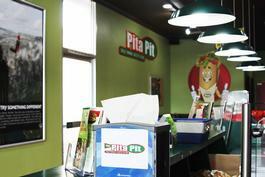 Pita Pit is the future of quick, casual foodservice. Pita Pit has created an entire culture and a proven franchising system—one that has undergone fifteen years of fine tuning—to meet this growing demand. The unique combination of fresh, healthy food, mainstream music, and a lot of fun—along with young, high-energy staff members and customers, creates the very unique Pita Pit vibe. Pita Pit franchisees not only benefit from our proven business model and support, but also from knowing that they are invested in a business that is a source of pride, as well as a profit. 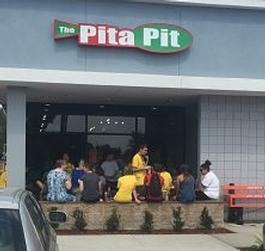 It’s a very exciting time to be a Pita Pit franchisee. To find our more about this Pita Pit restaurant, Please fill out the form below and submit. San Luis Obispo - California - $149000 SOLD! Colorado Springs - Colorado - $0 SOLD! Corvallis - Oregon - $165000 SOLD! Salem - Oregon - $350000 SOLD! Beaverton - Oregon - $0 SOLD!